Best performance through an effective and sustainable cost-beneficial factor: That’s PowerControl. The DTE injector tuning optimizes the injection with an improved map and ensures a higher degree of efficiency. 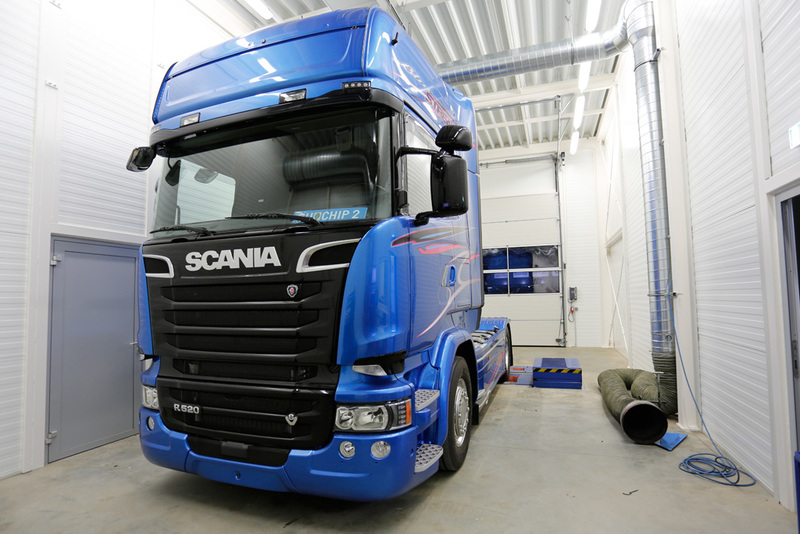 This cuts fuel consumption sustainably – A good basis for each fleet. With a DTE performance optimization you can significantly reach fuel savings of up to 12%. Your direct competitive advantage with our auxiliary control unit PowerControl. In times of rising energy costs a very important factor for economic efficiency. DIY installation or on-site installation service - test it now! With the installation manual included in the PowerControl package you can install the chiptuning yourself. But you can also take advantage of our on-site installation service! Try our truck tuning without any risks and let us convince you. A performance increase from DTE enables you and your staff to execute the work load with more power and more torque in every conceivable work situation. 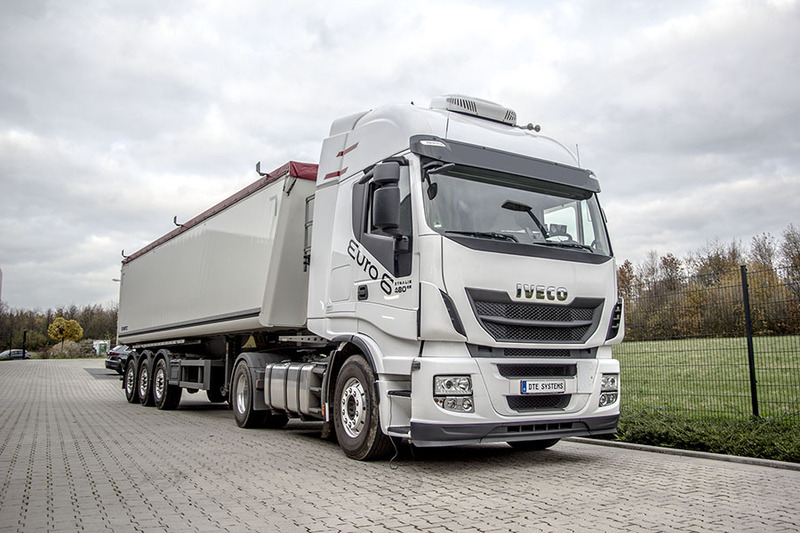 By extending the injection times and optimization of individual cylinder signals the performance of the Iveco Stralis grows by 55 hp to 515 hp. Likewise, the extra strength in torque: increasing by 250 Nm up to 2400 Nm. Important power reserves that can be activated at any time. The DTE injector tuning PowerControl PDX optimizes the maximum values of power and torque of the Scania 16.4-liter V-motor: The power increases by 55 hp from 520 hp to 575 hp. In addition, torque is extended by 230 Nm from 2700 Nm to 2930 Nm. The PowerControl PDX improves the efficiency of the entire engine map of the Scania R520. 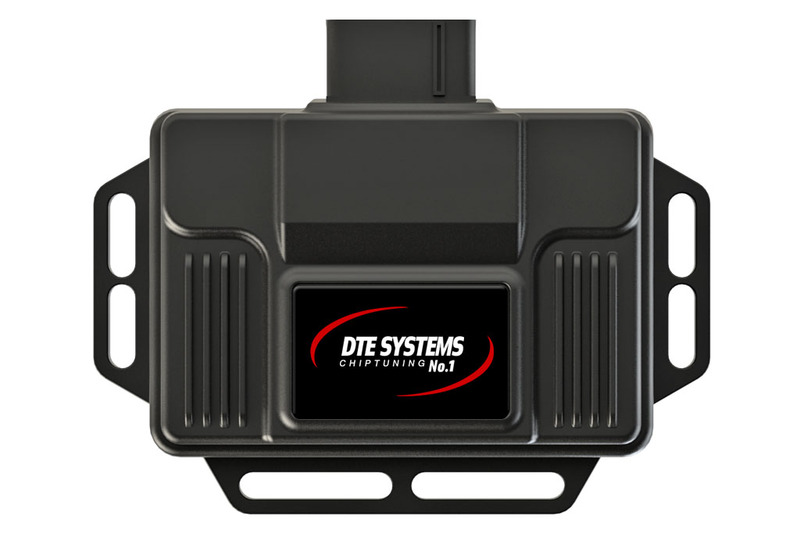 The performance tuning PowerControl PDI is the new injector tuning of DTE Systems. With this tuning system up to six injectors can be controlled directly. In addition, two further analog signals can be connected. They ensure that the increase in performance is available over the entire speed range. The latest development in the field of chiptuning boxes utilizes revolutionary multi-map technology. Here, for the first time 4-8 data maps are stored in the chiptuning box which, depending on the desired driving behaviour, are individually retrieved and activated. This means improved values for power, torque, emissions and fuel consumption in all imaginable driving conditions for your vehicle. As a result of optimized combustion across all the engine's performance ranges, the fuel is used considerably more efficiently. Our chiptuning boxes are compatible with all diesel particulate filters and of course keep the strict Euro 6 standards. The control units are designed to learn the individual characteristics and performance specifications of your vehicle. During a short run-in period, the memory function gathers the individual data on the different injection cycles depending on the load condition. The information gathered serves as a basis for optimizing performance. Standard tolerances are compensated for and revised to give the optimum tuning result for your vehicle. The installation of a chiptuning box is a structural change that, unless entered in the vehicle documents by means of a Component Certificate or individual assessment by audit report, invalidates the Roadworthiness Certificate and (if used on a public highway) leads to the loss of insurance cover. The operation of farm machinery on public roads without adequate insurance violates Art. 6 of the Compulsory Insurance Act and is liable to prosecution. An increase in performance by means of chiptuning or a chiptuning box can lead to warranty claims against the seller and any warranty claims against the manufacturer being invalidated. Please check with us about insurance options. DTE Systems will be pleased to assist with obtaining the necessary documents - just ask us!